Turns out, it matters. For evidence, we looked at a non-typical source—the university fundraising market. A recent study by Ruffalo Noel Levitz looked at the impact of goal-setting on university crowdfunding. University crowdfunding campaigns can set their goal in either total dollars raised or the total number of participants who give any amount. In university crowdfunding, dollar-goal campaigns are more common for funding trips and capital projects. Participation goal campaigns tend to be utilized in challenge scenarios involving major donors or in competitions between campuses or groups within the university. The research analyzed 4,200 crowdfunding campaigns conducted between 2013 and 2017. Ninety percent of the $22 million+ raised were for higher education institutions. The rest included Greek organizations, public charities and university hospitals. When the total online averages for dollar-goal campaigns and participation goal campaigns were compared, it turned out that participation challenges yielded significantly higher levels of online donations. The participation campaigns averaged about 27 percent more in total online fundraising than dollar-goal campaigns did. A typical participation goal campaign promotes the idea that any amount is significant. Surprisingly, this “less is more” attitude leads to better outcomes in terms of dollars and cents. Researchers went door to door to solicit donations for the American Cancer Society. They hypothesized that when asked to make a donation, people, even those who would like to support ACS in some way, might say no because they couldn’t afford to donate much, and so they assume that the small amount they could afford wouldn’t do much to help the organization. To stimulate donations, potential donors were told that even an extremely small sum would be helpful, thus legitimizing small contributions. Consistent with the researchers’ hypothesis, people in the “Even a penny would help” group donated almost twice as often, 50 percent versus 28.6 percent. Although that difference is impressive, there is the chance that the strategy could backfire and result in smaller donations than people might otherwise have given. However, that turned out not to be the case—the average donation size between the two groups were essentially the same. This research is consistent with the results seen for the crowdfunding campaigns. As with the crowdfunding results in the university campaigns, the “every penny will help” approach should come out ahead, not only in terms of the number of people who donate, but in the overall amount raised by each request. 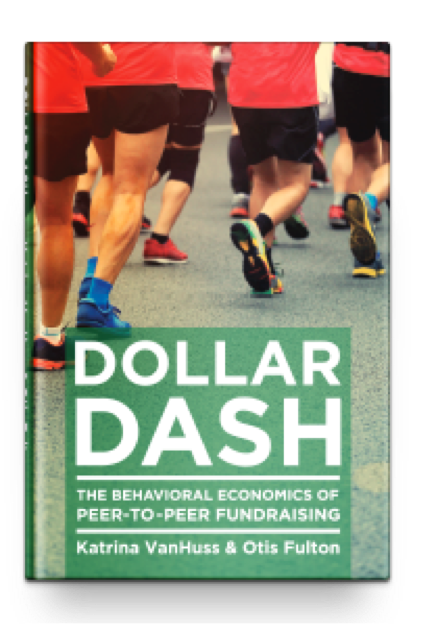 Brian Gawor, VP of fundraising research at Ruffalo Noel Levitz puts it this way, “I think why we see this phenomenon is that donors can’t really think of themselves as a percent of a dollar. But they can think of themselves as the ‘next donor,’ and they take action.” Lowering the bar for donors makes that even easier. The takeaway? New donor acquisition is a goal of any interaction between a nonprofit and the public. Happily, it turns out that acquisition can be accomplished without sacrificing a campaign’s bottom line.